Rafting and Kayaking: One of the Longest rafting stretches (14 km) starts at Pirdi in Kullu-Manali, which is 3 km from the property. If you are a bit experienced in Kayaking, Beas offers you utmost chills and thrills. And if you are not an experienced Kayaker, don’t lose hope for you still have flat parts of Beas to experience the thrills. Best suited for both amateurs and experienced rafters and kayakers. Trek to the Pah Nala Village The traditional hamlet of Pah Nala makes for an interesting trek. You’ll come across cultural houses and jolly people along with beautiful views everywhere you look. Trek to Kais Dhar This moderate trek takes you through the grassy meadows and forests of Pine, Cedar, and Blue Pine. 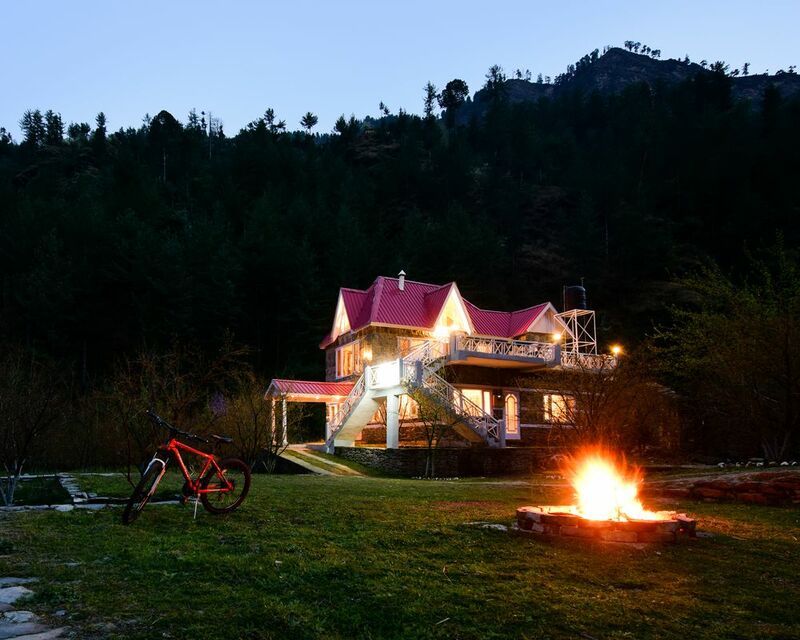 You’ll also come across a pretty guesthouse built by the Britishers along with many natural ponds on your way. Birdwatching Early mornings are always alive with the sounds of the many birds that reside here. If you’re a birdwatcher by heart, set your alarm clocks for an early hour and ready yourself for an exciting birdwatching session. Traditional Village Hikes The villages around Pah Nala are full of unique cultural experiences. You’ll find shepherds herding their goats and sheep, women milking cows, and other conventional village scenes unfolding around you all the time. Fishing Anglers can fish in the rivulet by ZostelX Pah Nala, after taking the permit from the Department of Fisheries. You’re likely to catch the precious rainbow trouts here. Cycling Bicycles are available at the property on rent upon request. So, you can spend your day paddling around the town, exploring it in bits and pieces to your heart’s content. Drive down to the Prashar Lake The famous Prashar Lake of Himachal is just 70km from Pah Nala, so on your way to the village, you can make a diversion and check off yet another scenic place from your list. Head to the Mathasaur Lake At 24km from Pah Nala is the Mathasaur lake, offering peaceful vibes and beautiful views. This is a seasonal lake, so check with the locals before you plan a trip here. By Bus - The nearest ISBT is Kullu. Upon reaching Kullu, take a bus to Pah Nala and drop off at Buragran. From there, you can contact ZostelX Pah Nala to make commutation arrangement for you. Alternately, you can get down at Mohal and take a bus/auto to Pah Nala. By Taxi - You’ll get direct taxis from Kullu to Pah Nala. By Air - The nearest airport is in Bhuntar, located 12km from Pah Nala. You can then take a taxi/bus to Pah Nala as directed above. The taxis may charge around 500-800 INR from the airport to Pah Nala. By Car - Take the NH3 to Manali. At Mohal (4km before Kullu), take the left diversion towards Pah Nala. Call the property once you reach Burugram and they’ll guide you further. For further detailed directions, please call the property prior to your arrival. ZostelX Pah Nala lies right in the middle of fields and pomegranate farms, with a rivulet flowing by it. The village is easily accessible by road and offers gorgeous views of the Himalayas. Sashi is a young biking enthusiast and an orchardist. Also greatly able at horticulture and organic farming, his love for nature guides most of his life philosophies and actions. Having traversed across the area, he knows the valley inside out, so you may be able to scoop out a unique place recommendation or two if you have a chat with him.